Happy Hump Day! It's all downhill from here in the week, but all kinds of fun is still coming in the GiniVerse, so let's get to it, shall we? We shall! I have some very cool news to share, but first, we need to hit the next stop on the Universal Alien Top 10 Blog Tour! Why? Because this one's over at A Buckeye Girl Reads, and it features my Top 10 SciFi and Superhero Movies, plus, as with all the stops, a chance to win one of the first 9 books in the series, signed & personalized! Open internationally, too. There are more Tour stops to come, and you can still get entered to win at the prior stops as well. So don't miss out! Next up, see what Bibliognome thought of Universal Alien. Then catch up on what SF Reader Community thought of Alien Tango, Alien Diplomacy, Alien vs. Alien, Alien in the House, and Alien Research. Now it's time for that cool news I mentioned earlier. 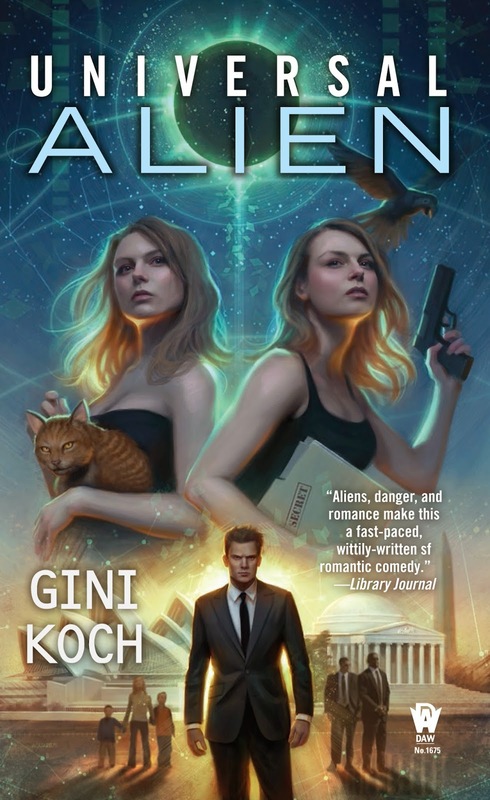 Alien Collective is a nominee for the Best Futuristic Romance of 2014 in the RT Book Reviews Reviewer's Choice Awards! I know! It's too happy to be true! And in the case of these awards, it really is an honor to be nominated, because all the books and authors are stellar. 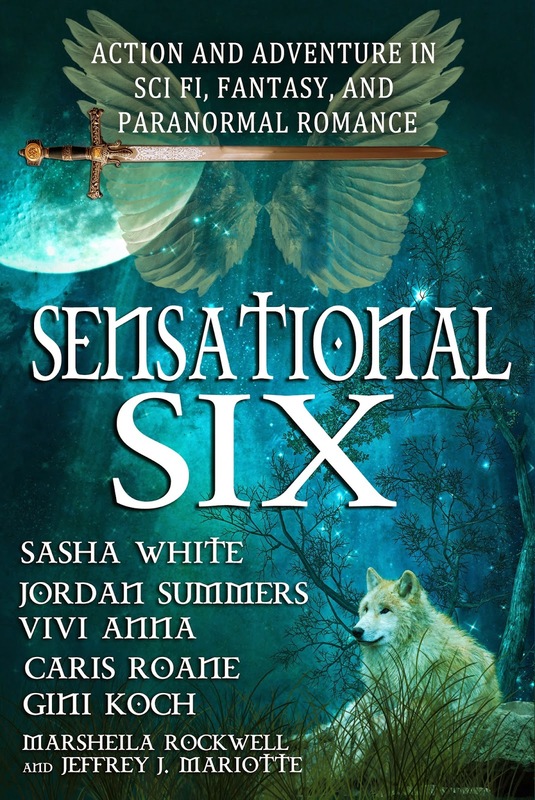 The blog tour for Sensational Six: Action and Adventure in Sci Fi, Fantasy, and Paranormal Romance starts soon and the release is almost here, too! 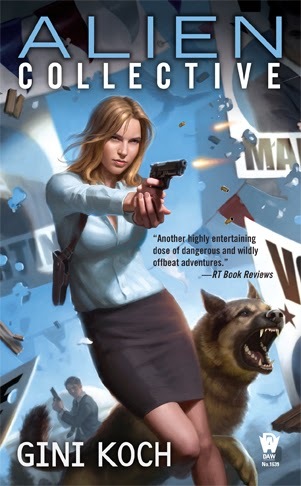 Check out NK Blog Tours for info on all stops -- all of which have prizes! And remember to be ready to order this great set of six super stories from seven writers (aka Six Gals and a Guy) coming on Nov. 17th for the ultra-low price of $0.99! That's right, a ton of great reading for less than a dollar! Including The Night Beat, Necropolis Enforcement Files #1. AND a long excerpt from Night Music, Necropolis Enforcement Files #2, in the only place you're going to get it until Night Music releases in early 2015! SUCH a deal, you don't want to miss out! That's it for today but, trust me, more's on the way, including another Blog Tour stop AND another exciting announcement. So, enjoy the downward slide towards the weekend and let's be readers out there!